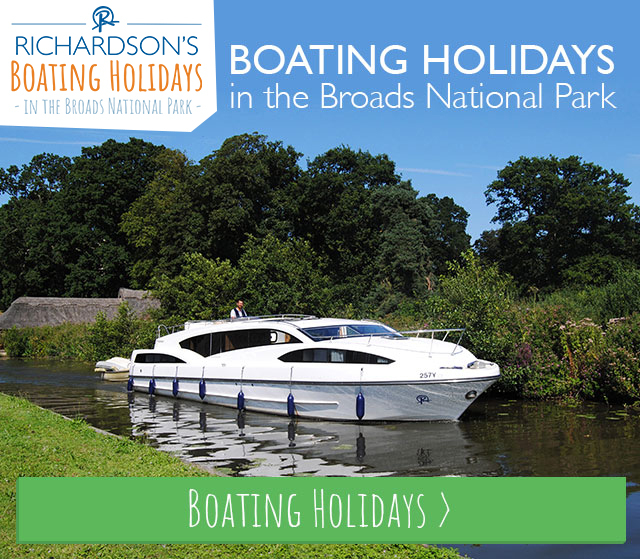 The Norfolk & Suffolk region has a great deal of history and heritage to be discovered during your stay with us. Here’s just a few of the attractions on offer. This museum offers visitors a unique opportunity to experience a ride on three forms of public tranport from the early 20th century. The museum has a diverse collection of vehicles from cars and buses to trams, vans and lorries. Other attractions include a period street scene as well as a shop and cafe. Experience Victorian life first hand by going to work in the kitchen and scullery, and decide for yourself whether the death of Charles I was indeed plotted in the aptly named ‘Conspiracy Room’! This fascinating museum is dedicated to the history of printing and features a huge collection of historical printing artefacts including cameras, projectors, manuscripts – and of course, printing machines! Helpful staff are on hand at the museum to show you the printing process in action. Berney Arms is on the edge of Breydon Water – perfrectly positioned for a visit during your boating holiday. The mill, right beside the river, is one of the highest of the Broads and can be seen for miles around. Dating back to 1870, it is in full working order after being fully restored – well worth a look! This stunning example of Norman architecture is well worth a visit. Recently voted ‘Norfolk’s Favourite Building’ the cathedral’s enormous spire (the second highest in Britain) has been an eye-catching feature of Norwich’s skyline for over 900 years. There is the opportunity to savour a meal in the newly constructed refectory, then enjoy an idyllic stroll through the peaceful cloisters and historic Cathedral Close. Built by the Normans as a Roman palace 900 years ago, this castle contains a fine collection of art, archeology and history. Numerous art galleries inside, dungeon and battlement tours and much more. The ruins of this once great abbey are a very distinctive landmark on the banks of the River Bure. Dating back to 1020, the abbey was one of the wealthiest Benedictine houses in the country during the Middle Ages. Its isolation on an island in the middle of the Broads means that the water is the perfect place from which to admire this once mighty building. Wander among the remains of this 14th-century Augustine priory which is just a short walk from the one of the many mooring places in St Olaves on the River Waveney. Downstream from Wayford Bridge on the river is the Hunsett Drainage Mill which was built in 1860. Restored in 1970, it is best admired from the water as it isn’t easily accessible by land. The church in Ingham dates back to the 13th-century and was originally part of a priory housing a collection of friars. You can still see the remains of the monastery on the north side of the church, and inside the church two well preserved tombs date back to the 1300s. Standing on the raised banks of the River Thurne, this windmill was visited by Alan Titchmarch during an episode of ‘British Isles: A Natural History’. It is owned by the Norfolk Windmills Trust and is a popular target for photographers. This large church was built during the 14th and 15th centuries and has a very impressive beam roof together with some vibrant wall paintings on the Chancel arch. It features an excellent example of a 15th Century font in typical East Anglian style. Famously, the contents of the church chest formed the basis of a book about the history of Ludham. This tiny cottage is set in the How Hill nature reserve. The cottage has been furnished as it would have been 100 years ago when a marshman and his family lived there. Entry to the cottage is free, certainly well worth a look! Built in 1875 by a Yarmouth millwright, this windpump is set opposite the staithe at How Hill. It was designed to drain Horning marshes into the River Ant so cattle could graze there. When the cattle left in 1920 the mill ceased to be used. 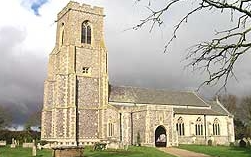 Dating back to 1450, this is the largest parish church in the Flegg area of east Norfolk. It has a 98-foot tower complete with a ring of 6 bells which were restored for the Millennium. This church features some excellent flint work detailing and beautiful stained glass windows. This, the second largest Roman Catholic cathedral in Britain, is one of two cathedrals in the beautiful city of Norwich. Completed in 1910, it commands an awe-inspiring presence, with an interior designed to echo the great English churches of the 13th century. A museum which tells the story of Great Yarmouth – from its Ice Age origins to the present day. You can walk along one of the archetypal ‘Rows’ dating from 1913 and see how local fishermen used to live, take the wheel of a steam drifter or hear gripping tales of shipwreck and rescue! Visit this military museum, dedicated to charting the history of radar in Norfolk. One room has been left unchanged since its use in the Cold War to give visitors a first hand impression of radar’s use under tense real-life situations. Children also have the opportunity to pilot fighters on a real air force simulation computer!